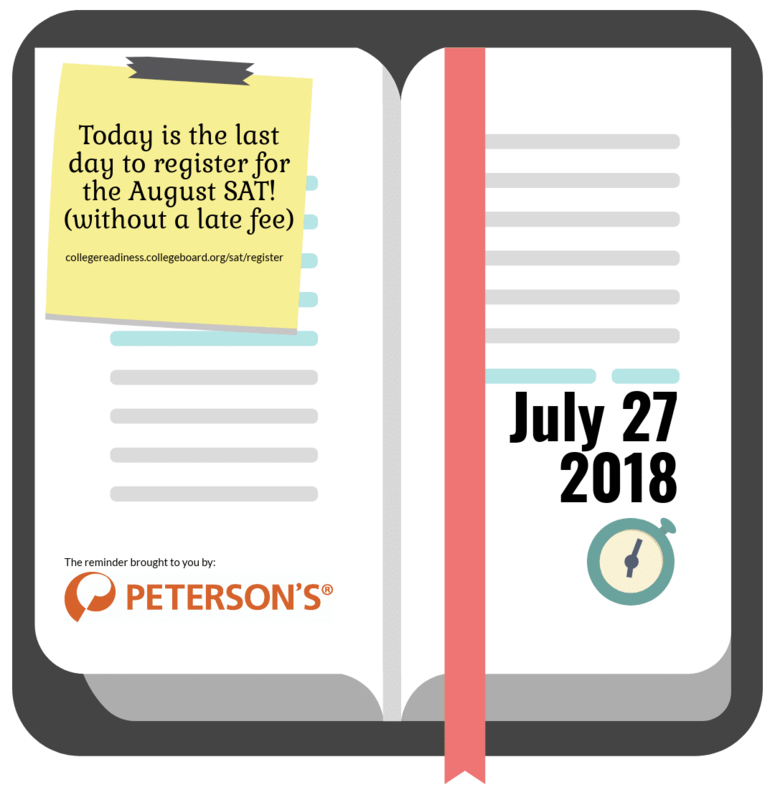 If you were planning on taking the SAT on August 25th, this is just a friendly reminder to register. You can still register up until August 15th, 2018 but you’ll have to pay a late registration fee to get in. You can register on the CollegeBoard.org website. Not sure if you’re ready for the test? Peterson’s offers tons of easy to use and helpful SAT resources including practice tests and an online course. Get started today and work towards earning your best grade.